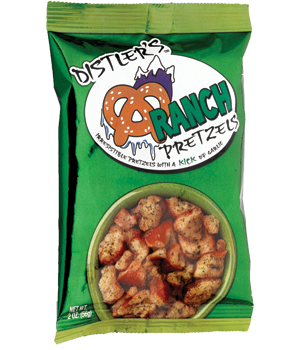 New Owner: Our core belief is to keep foods clean and simple, so following that guidance you'll see exciting changes such as removing the MSG from our Ranch Pretzels. 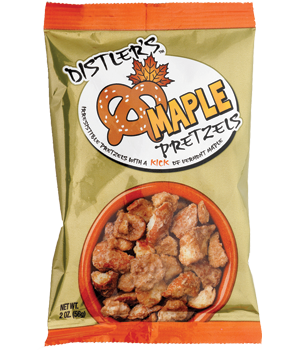 We have been told time and time again how "addicting" these pretzels are. We take hard sourdough pretzels and break them into bite-sized pieces, then add a blend of herbs and spices, and bake them again for an "irresistible" taste. 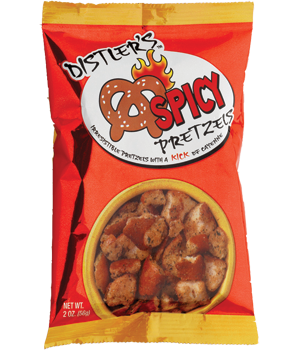 For those of you who may not like "hot spicy" food, we have ranch and maple pretzels as well. But, for those of you, like Alec, who like their food "hot", you better have two bags of our original spicy ready because you're going to want more.